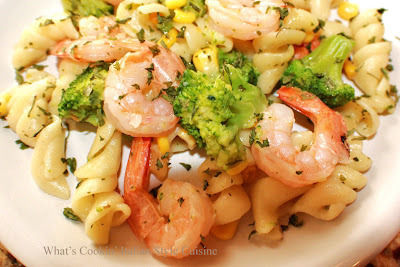 A lighter style pasta with a hint of lime and South West flair. Cook pasta to package directions. 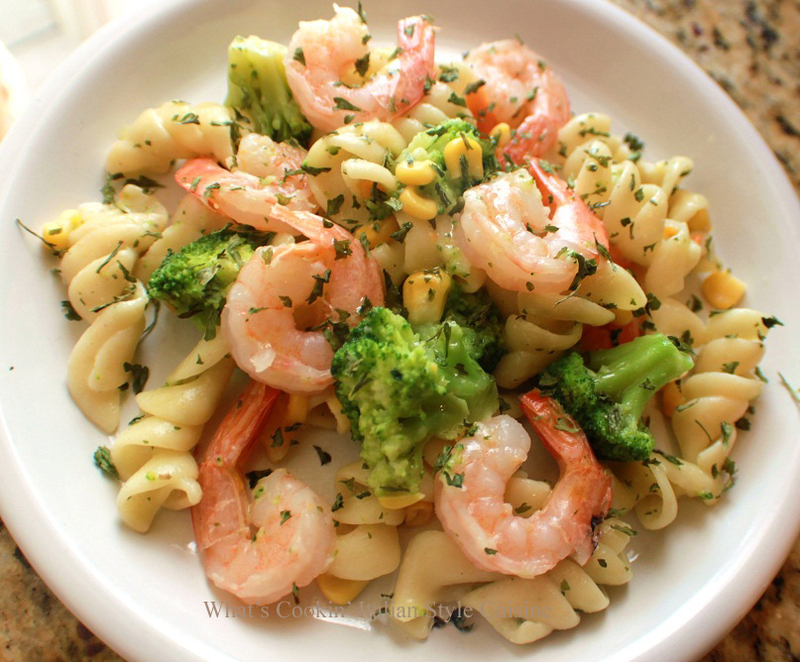 Drain pasta, place in a large bowl with 2 tablespoon of melted butter and toss. Set aside keeping warm. In a large fry pan, heat olive oil. Add the garlic cook for 1 minute. Add the shrimp, saute until it turns pink. Add the cooked broccoli, corn, spices and lime juice and heat through. Stir in fresh cilantro and hot sauce. Season with salt and pepper to taste. Make sure the sauce is heated. Toss sauce with the pasta. Serve immediately. Ooooh this looks good!!! Mmmmm mmmm mmmm! Save some for me! sounds so good and healthy! I know what I'm having for dinner. We were going to have shrimp and pasta, but know we'll have your yummy recipe. Like the lime on it. Looks like we both need our carb fixes. Shimp makes a terrific protein addition to pasta. It looks great. Looking good (as usual!) I love me some shrimps!